In 1876, journalist and social activist Adolphe Smith and photographer John Thomson undertook an unprecedented ethnographic study in documenting—with pictures and in depth interviews the poor of London, as Kuriositas relates. 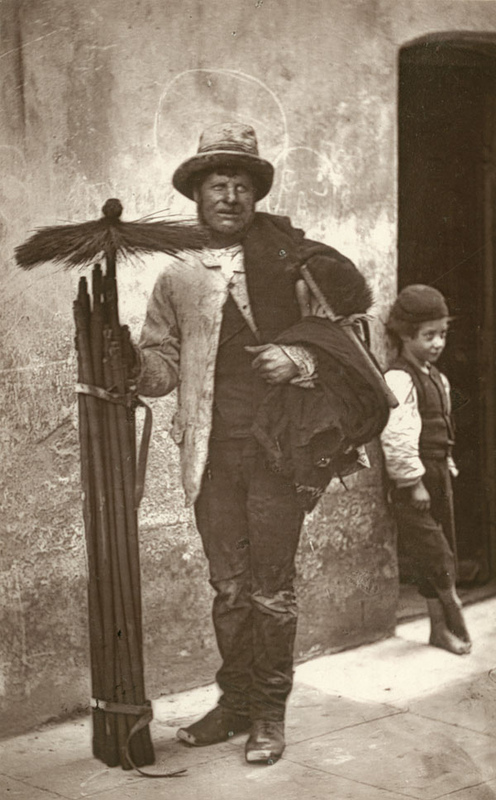 The highly successful and best-selling book that was the product of their investigations stunned the upper classes and prompted the creation of some foundations and charitable institutions as a social safety net that helped to lift at least some out of the cycle of poverty was published as Street Life of London, released episodically beginning in February of 1877, and has been curated and released in 2012 into the public domain by the London School of Economics. Learn more and find a whole gallery of compelling images with an accompanying story about the people depicted at the links above.